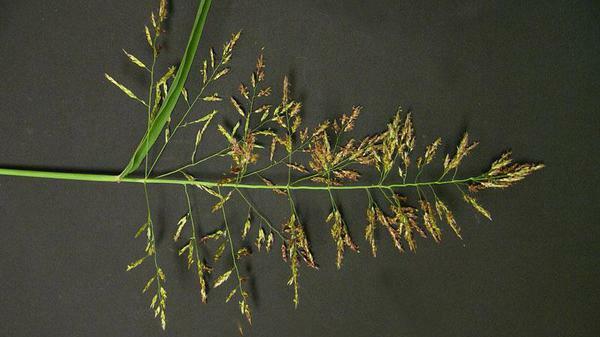 Johnsongrass is not a common weed in turf situations. It is frequently found on roadsides, but is also found in pastures and disturbed fields. 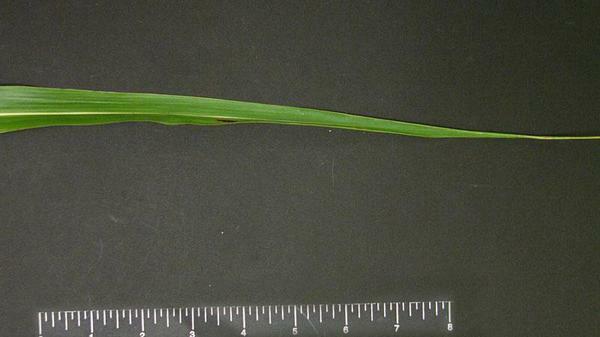 It does not grow well in frequent, close mowing situations. 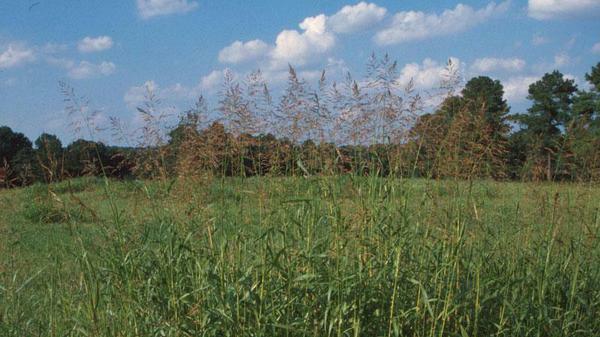 As an adult plant, johnsongrass is characterized by its dense growth habit, with stems that can reach 6 feet in height. 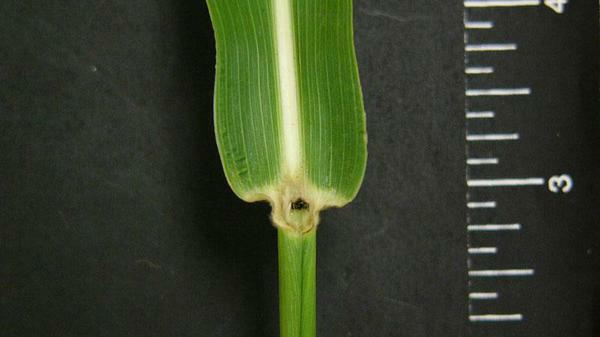 The leaf blades are rough, and the prominent white raised midveins that run the length of the leaf are distinctive. The seedhead is purple. Figure 1. Johnsongrass seedhead. Figure 2. Johnsongrass seedhead. Figure 3. Johnsongrass seedhead. Figure 4. Johnsongrass vernation. Figure 5. 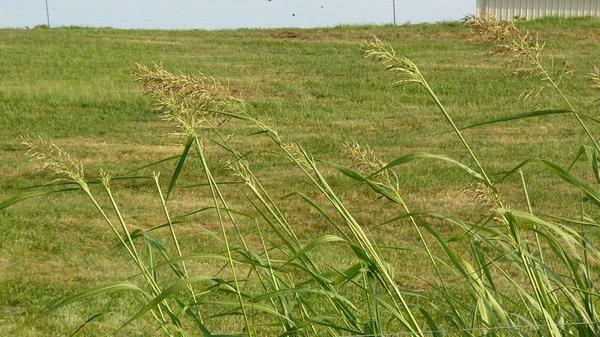 Johnsongrass vernation. Figure 6. 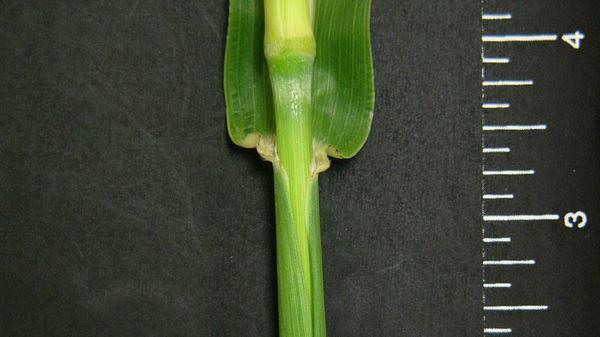 Johnsongrass auricle. Figure 7. 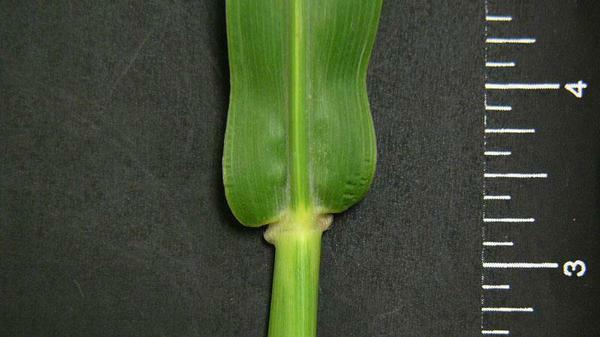 Johnsongrass auricle. Figure 8. 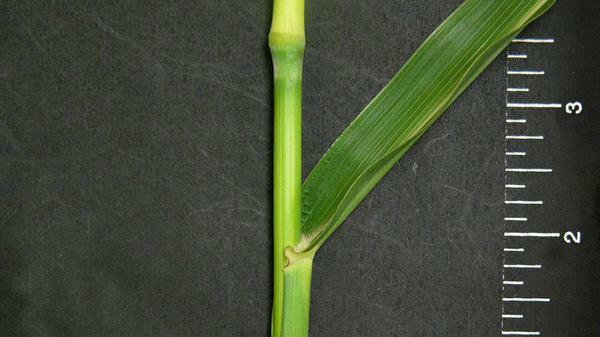 Johnsongrass auricle. Figure 9. 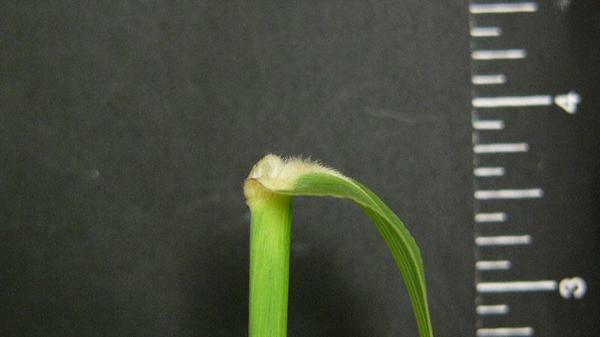 Johnsongrass auricle. Figure 10. 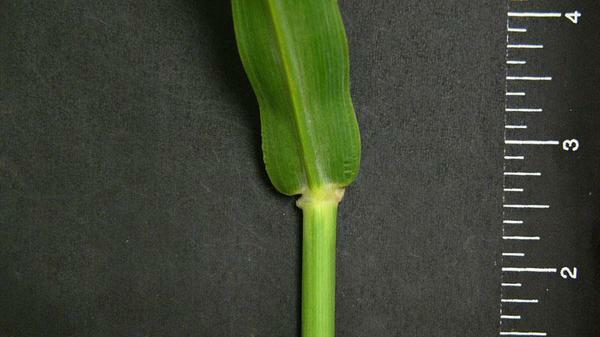 Johnsongrass leaf blade tip. Figure 11. 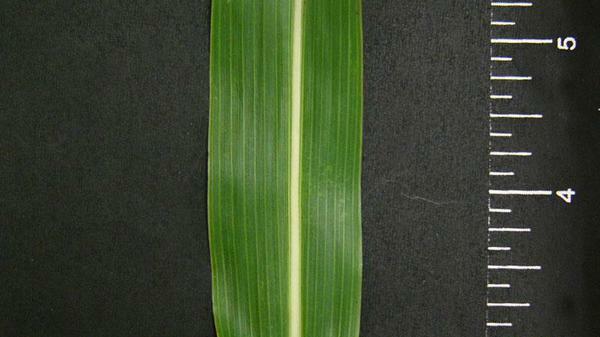 Johnsongrass leaf blade width. Figure 12. 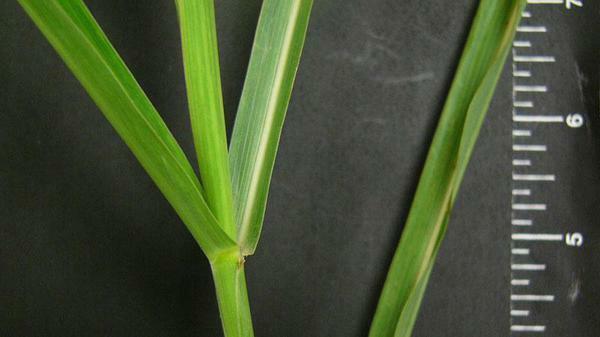 Johnsongrass collar type. Figure 13. 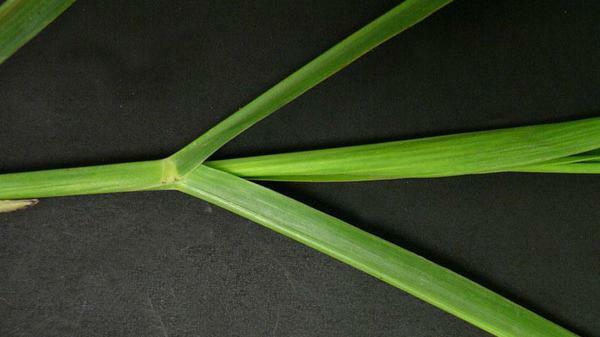 Johnsongrass collar type. Figure 14. 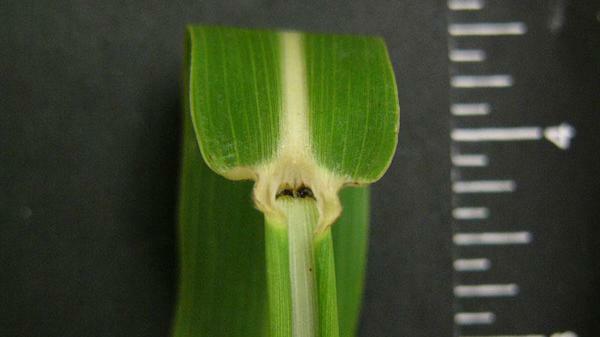 Johnsongrass sheath margin.